When you look ahead to 2018, what sort of year would you like to have? A good year? A better year? Or the best year? That sounds like an unusual question, as after all, we ALL want to have the best year we have ever had! However, over Christmas, I was reflecting on 2017 (which was a very challenging year for UCB) and I was asking God for 2018 to be the best year we have ever had. I felt God speak to my heart and challenge me on what ‘best’ actually means. Why should we have the best year? Do we have any right to ask for such a thing? How can we plug into God’s best for our lives? As we look back over the year that was, many of us tend to share the good and the bad experiences of the previous 12 months. I have learned over the years that what we talk about, has the ability to change the atmosphere around us. If we are sharing good news and giving thanks to God for what he’s done, it fills others with faith and changes the atmosphere to one of expectancy. But if we are talking about the negative, those words too can change the atmosphere – but not for the better. I believe that to see God’s best in our lives, we need to focus less on the experiences and instead, focus on our expectations. What do we want God to do in those situations? What do we ‘see’? What do we expect? Instead of talking about the physical circumstances, let’s instead set our eyes on the vision that God has given us. We need to be equipped for all that God is going to do and that means his process of transformation in our lives is never finished (not while we are on this earth anyway!). What is your room furnished with? 2 Kings 4 tells the story of a noblewoman who was so impacted by the ministry of the prophet Elisha, that she and her husband built a room on their house, for him to stay in whenever he passed through their town. They furnished the room with a bed, a table, a stool and a candlestick. In a future blog, I will share what I believe each of these items represents, but I think the simplicity of this furniture was designed to help Elisha find rest, peace and intimacy. These three areas are so important for us too as believers. What is our room, or our heart actually furnished with? Is it cluttered and noisy and distracted? Or is our heart furnished with peace and rest and stillness with God? If like me (and UCB), you are looking ahead to 2018 then can I encourage you to speak with expectancy, allow yourself to be changed and transformed and to find that place of rest and intimacy? Let’s believe together that God indeed will give us the BEST year yet! 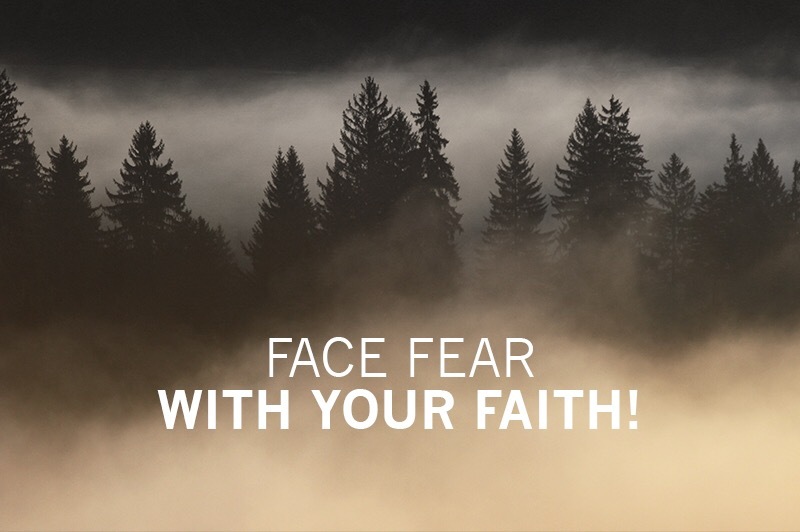 Face fear with your faith! After the arrest of Jesus and later His execution, we know that the disciples were afraid. John 20:19 tells us that on the evening of the first day, they were together, ‘with the doors locked’. It must have been a very distressing time. Their best friend and Saviour had been publicly executed and they must have been very shocked by all they had witnessed. In fear for his life, Peter had denied knowing Jesus and now, they were all hiding behind locked doors. This picture hidden away in a room, is an illustration to me, of what the enemy tries to do in our lives. I believe fear is the greatest weapon of the enemy – fear literally paralyses us and stops us from moving forward. It might be the fear of ill health, of losing your job, the fear of what others think. It does not matter, it all has the same outcome – it holds us back from all that God wants us to do. It was the same for the disciples. Just a few days before, they had been enjoying a Passover meal with Jesus and now they were in hiding, trying to preserve their lives. They were unable to move forward. The amazing part of this story to me is that when Jesus appeared to them, He asked them, ‘Why are you frightened?’. Luke 24:36 says Jesus asked them, ‘“Why do you doubt that it is really I? Look at my hands! Look at my feet! You can see that it is I, myself! Touch me and make sure that I am not a ghost! For ghosts don’t have bodies, as you see that I do!” As he spoke, he held out his hands for them to see the marks of the nails and showed them the wounds in his feet. Luke 24:41 says, ‘Still they stood there undecided, filled with joy and doubt’. Even when Jesus appeared to them in power and wonder, after being so brutally killed, they were still not sure whether they could believe their eyes! The journey of faith is not always an easy one and sometimes even when we know and experience Jesus in the middle of the situations we face, we wonder if He really will save us. This story speaks to us of the heart and mercy of Jesus. He appeared to the disciples in the middle of all their doubt and confusion and then he ate a meal with them. As they listened to all that he said, the Word of God tells us that they, ‘opened their minds to understand at last the Scriptures’. I believe that faith is a journey. We do not always feel full of faith, but we can make a decision to trust in all that God has said to us. Faith is not the absence of fear, it is the mastering of fear. For me, the story of Easter speaks to us of hope, of life and of Jesus meeting us in the middle of our confusion and reminding us that we have nothing to fear. I have spoken before about some of the losses our family has faced. In the immediate aftermath of a bereavement, without God’s help, it can feel as though life cannot continue without that loved one. However, thank God for His Word that sustains and holds us together during the very darkest times of our lives. As we prepare to celebrate Easter, I have been trying to put myself in the shoes of the friends of Jesus; the disciples, the people who were his companions during his life on Earth. I have been wondering what they must have felt after he was executed? What was it like after Jesus was resurrected? How did they feel when they saw him again for the first time, since the atrocity of his death? Mary Magdalene was one of those friends. She was a woman with a dark past whose life had been changed forever after an encounter with Jesus. Although she must have known he was the messiah, did she experience any doubt after she witnessed his death? We do not know what she felt, but did she wonder if Jesus was really coming back? Did she experience despair and grief? Even when we know the truth, in the dark experiences of our lives, it can be easy to focus on the circumstances of what we see. Whatever she felt, whether it was hope, or hopelessness, we know that on Resurrection morning, after Jesus rose from the dead, everything changed. Matthew 28 says, ‘Suddenly, Jesus met them’. This word ‘suddenly’ is very important to me personally, because it reminds me that just at my point of need, just when I need him most, that is when Jesus appears. For Mary Magdalene and the others who saw the risen Christ, when Jesus met them, in an instant, hope and peace was restored, they could see a future. They knew they would get through this. In that moment, they experienced the resurrection for themselves. This is what Easter means to me. The resurrection was not just an event in history, it was an event which brought hope to the friends of Jesus, hope to all who witnessed it and hope for today’s world, thousands of years later. 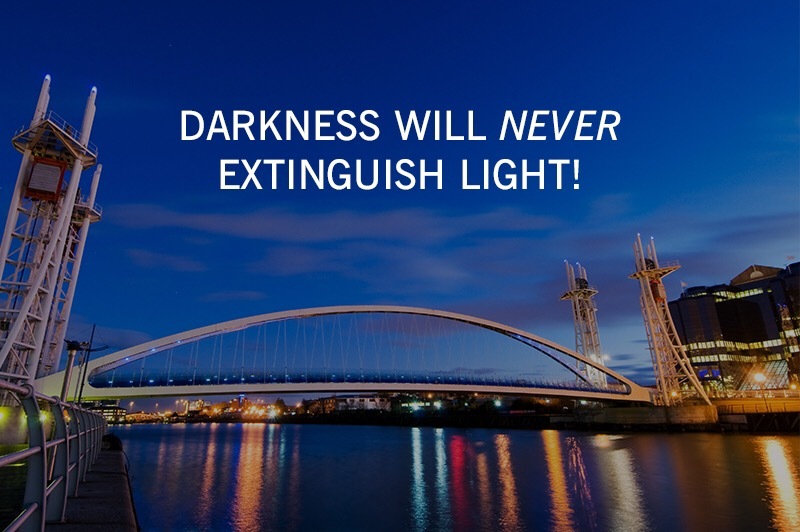 Whatever you are going through, even if it seems like an impossible situation, the death and life of Jesus reminds us that there is a future and that because of the resurrection, whatever life brings our way, we can have hope and peace. 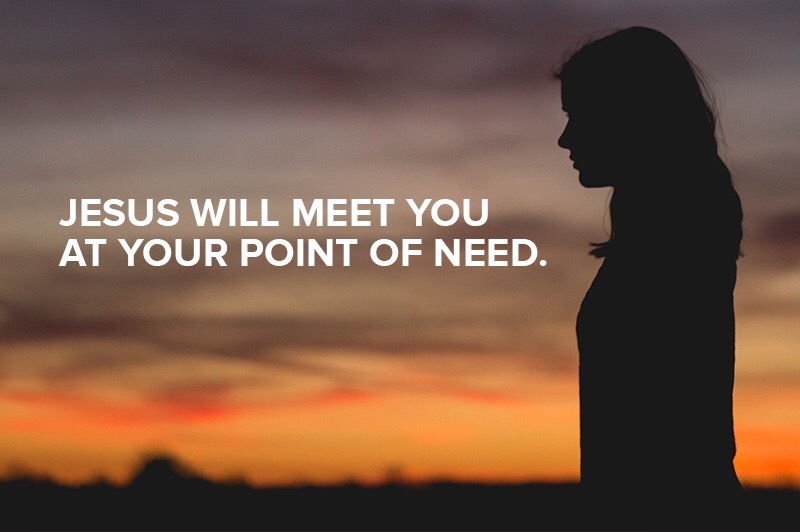 When Jesus meets us, everything changes.